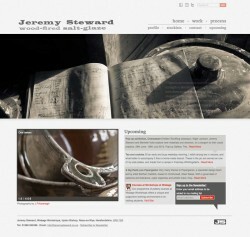 New website launched for Wobage Potter Jeremy Steward – http://jeremysteward.co.uk/, with some gorgeous photos by JP Kavanagh. 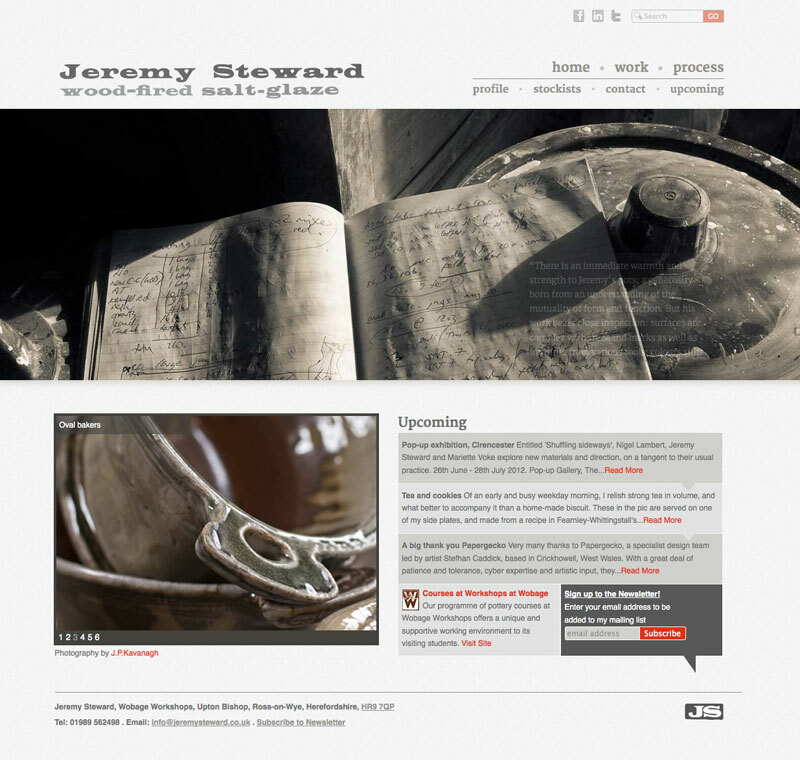 The site features multiple slideshows, an integrated (email) newsletter, Facebook integration (one click posting from the WordPress backend to Jeremy’s Facebook page) and lots more besides. The large image on the front page changes each time you come back to the site, or you can refresh your browser window for a sneak preview!